I've been holding out on you all! I have a new book that was published on July 7th. 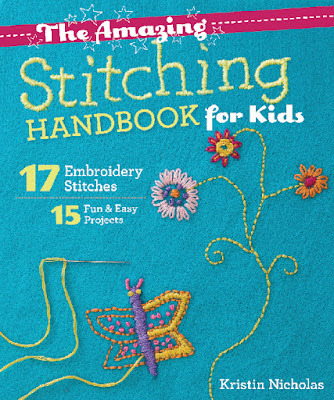 It is called The Amazing Stitching Handbook for Kids. Here's the back story to this book. Back in 2004, my very first embroidery book was published by STC. 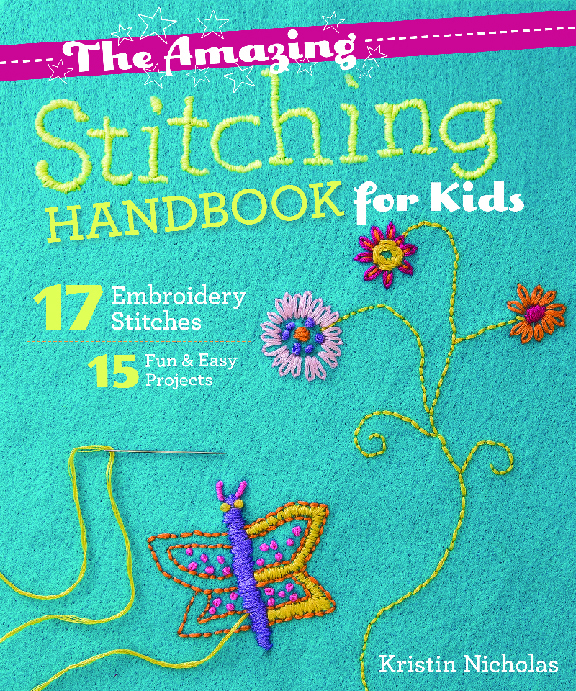 It was a hard cover book that was aimed to teach children to stitch. It was edited by Melanie Falick. As you probably all know, books come and books go. Books do not stay "in print" forever. The term "in print" means that the publisher is continuing to hold stock of books in their warehouse and to ship them. Kids Embroidery was eventually put OOP (out of print). When a book goes OOP, depending on the contract, the rights revert back to the author, illustrator and photographer. This was the case with my book. The rights to my words and my illustrations came back to me. And as you all know, 2015 is a very different time than 2004. DIY has blossomed. 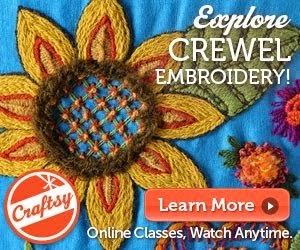 Sewing and crafting and embroidery, and all kinds of things you do with your hands, are more popular than ever. 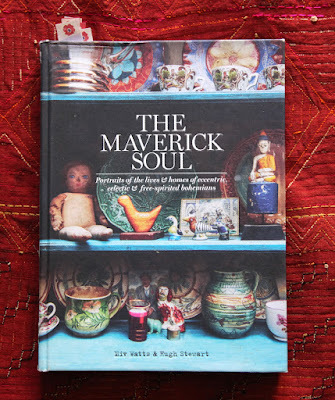 I've been lucky to keep working and writing in this world of craft book writing. My Literary Agent Linda Roghaar and I met up one morning. We talked about the direction I should go in my writing career. She asked me if I would be interested in working on a second incarnation of Kids Embroidery - for another publisher. I agreed and pretty soon, I was working on a new book on stitching for children. If you have my first Kids Embroidery book, this one will look somewhat familiar. We used my colorful illustrations that were also featured in Kids Embroidery. I made 15 brand new projects though so it will look new to most of you. I'm so thrilled that C&T Publishing has the faith in the art of embroidery to introduce it to children. You can check the book out on my website here. Over the next week or so, I will be posting projects from the book. Books will begin shipping after August 5th. BTW, Melanie Falick has now left STC and is out on her own. There is a good podcast interview with her on the site "A Playful Day" here. Check it out if you are a fan or are interested in the publishing and writing world. Melanie has always been one of the real pros in the world of DIY, craft and publishing. I look forward to seeing what she does next.